Grayling fishing is becoming increasingly popular on the river through the winter and most beats are readily available usually at just £10 a day. Do ring up for prospects, it is better to have a steady river with lower flows. Looking forward the spring salmon run is an improving one with fish normally being caught from mid February onwards. The early runs of fish often tend to include some massive spring fish. The fishing is relatively inexpensive and the prize could be the fish of a lifetime! This can also be easily combined with learning or improving your speycasting. 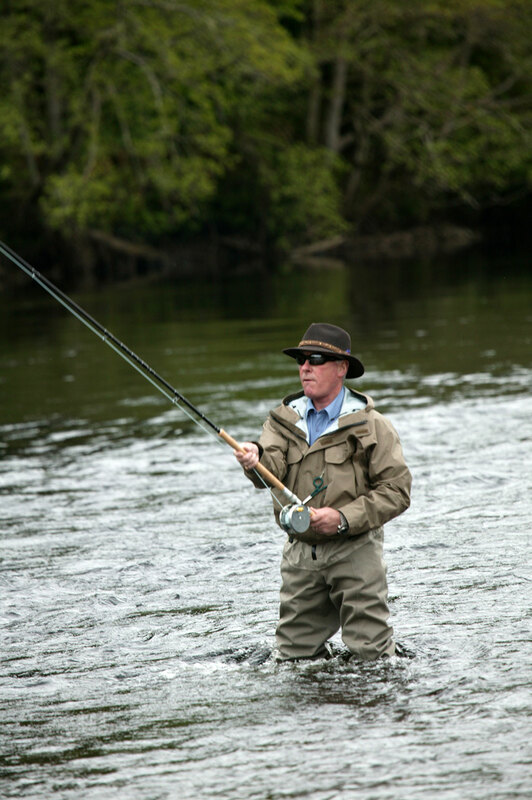 Paul is available for speycasting lessons on our special fishing deals. Our usual 3 day spey casting clinic for 6 rods at Warwick Hall will commence now at the end of March 2019. It is always great fun and for 3 days DB&B in the hotel, 3 days exclusive fishing at Warwick Hall, free loan of equipment if required, lunches on the river bank, tuition and guidance from 2 instructors, it offers great value at just £645. 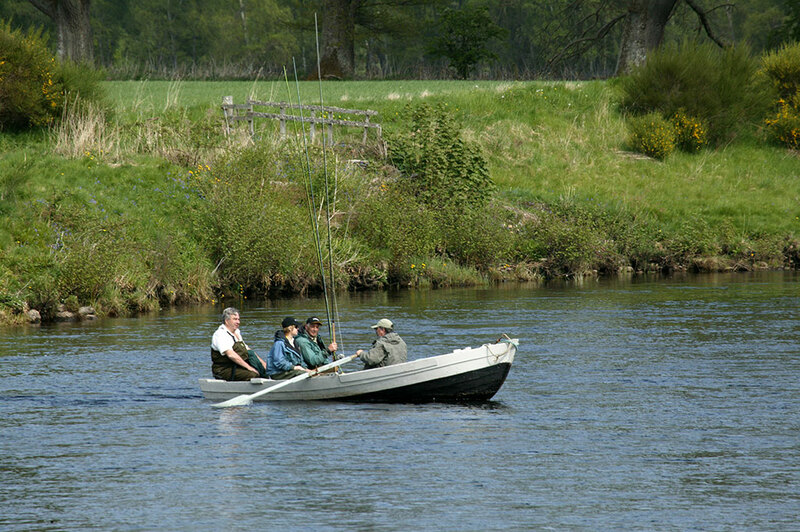 Total beginners to fishing are very welcome as is anybody wishing to simply learn or improve their spey casting. The start of the trout fishing season was March 15th. Last year Trevor Heyliger graced the opening day with a monster 6lb ish fish and he has been back teaching and fishing during the summer. It has been a strange year with the beast from the east and then the prolonged drought and I think that we will do better now looking forward to a more normal year next year!! 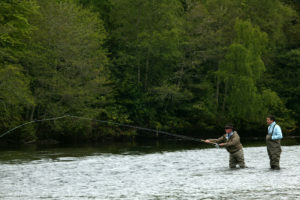 The Tufton Arms Hotel has been a famous fly fishing destination in Cumbria since Victorian times. 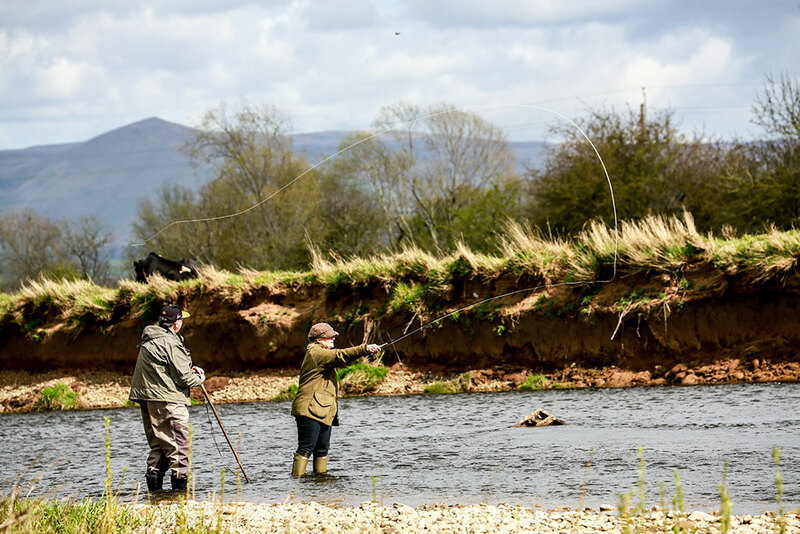 Appleby is situated in a large loop of the River Eden, and is surrounded by superb wild brown trout fishing and grayling fishing. 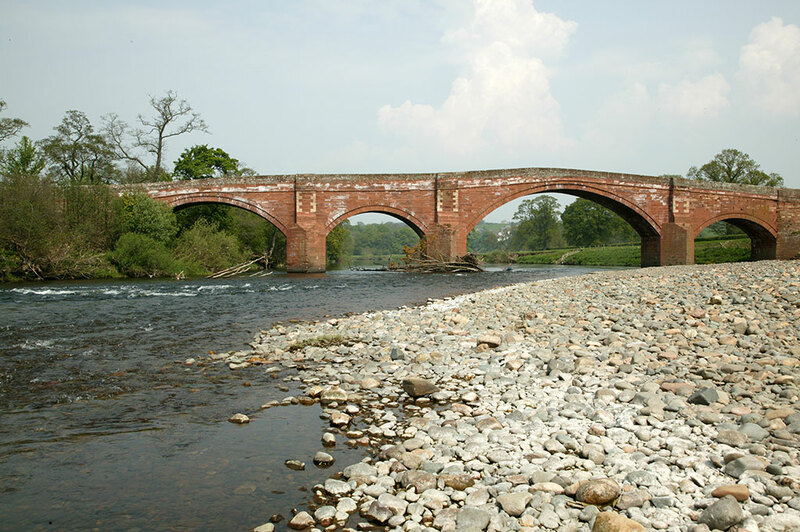 We can also offer The River Eamont and the lower and middle River Eden. Whilst fishing in the Lake District with its myriad of options is close by. 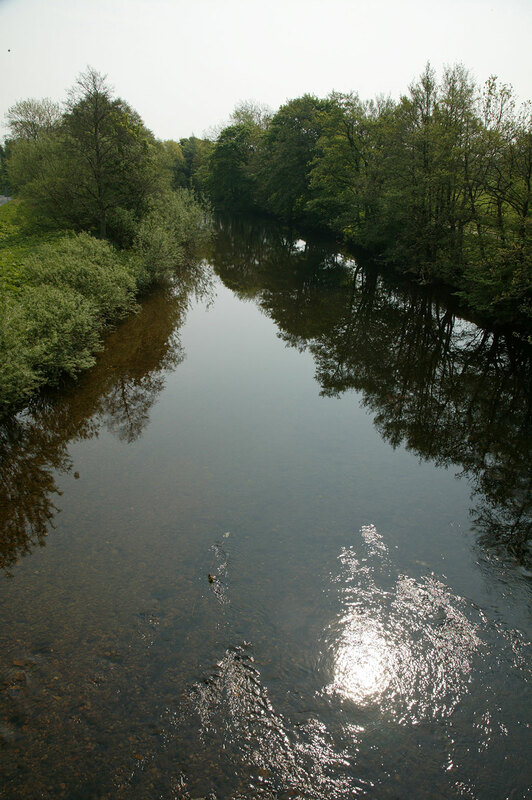 Come fly fishing for wild brown trout on some 16 miles of the famous River Eden and it’s tributaries all within close reach of the hotel. Perhaps try bustard fishing in the late evening and into the night for the larger brownies that lurk in the deeper pools. This is somewhat similar to Sea Trout fishing at night and is both a very exciting and rewarding thing to try. It also gives a different twist to any fishing break. 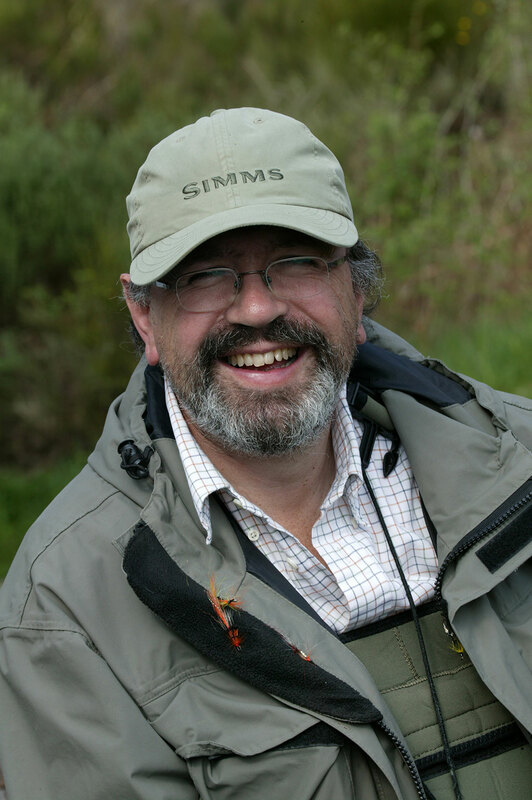 We are very lucky to have some fantastic water along with local flies and a lifetimes expertise from John Pape who has his own water at Ormside. 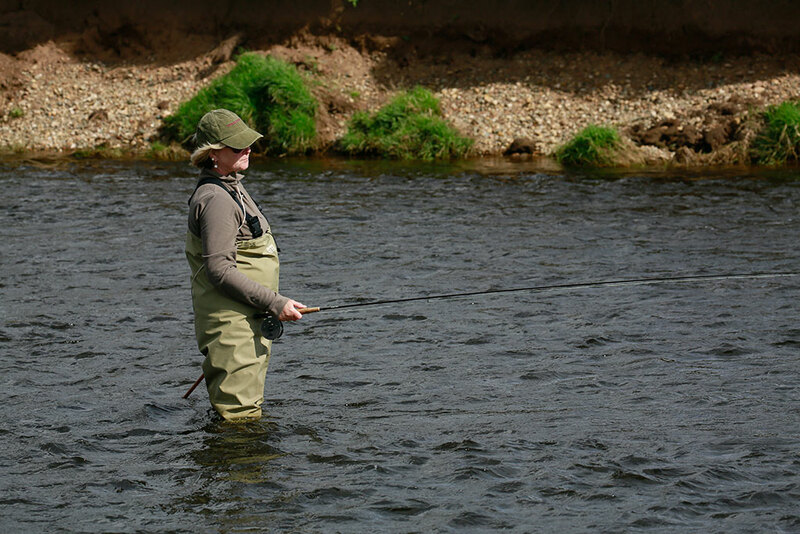 However if you are a total fly fishing beginner and wish to try trout fishing or salmon fishing for the first time we can also offer experienced ghillies for the day, along with loaned equipment and tackle so that you can sample the excitement and see if a fly fishing break is for you at a very reasonable cost. 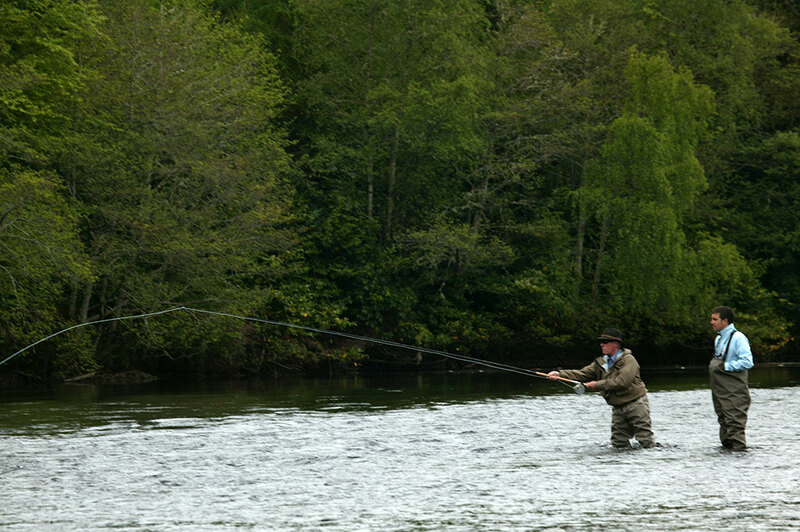 We also offer both salmon fishing breaks and trout fishing on the middle and lower River Eden. Again we can offer ghillies who are also happy to start you off salmon fishing or indeed speycasting. The Tufton Arms for that fishing break that you deserve. Contact Nigel Milsom direct at the hotel on 017683 51593 to discuss your requirements. The Tufton Arms for fishing breaks on The River Eden and Eamont and fishing in The Lake District and Cumbria. SPECIAL OFFER – We are delighted to be able to offer our guests a discount of 10% at the fantastic John Norris store at nearby Penrith.